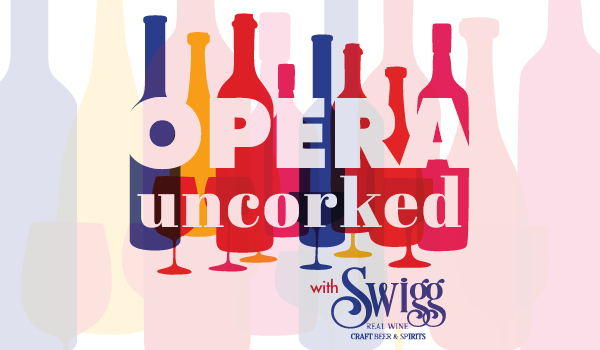 Join us for our Opera Uncorked series with SWIGG Real Wine, Craft Beer & Spirits, featuring operatic highlights by some of today’s most exciting vocalists (with OperaDelaware’s principal pianist, Aurelien Eulert) paired with optional wine/beer tastings. A great way for opera lovers and newcomers alike to enjoy beautiful music and tasty beverages in the casual setting of our Riverfront Studios! TICKETS: $29 and up; *Optional wine tastings available for purchase at the performances for $10. Buy multiple performances & save! *Patrons who choose to participate in the optional wine tastings can purchase tasting tickets at the performance for $10; Must be 21 or older to participate in tastings. A cash bar and sandwiches from Casapulla's will also be available for purchase in the lobby. If you are coming from I-95 or otherwise eastbound via MLK Boulevard: Turn right onto Market Street, and cross the river via the bridge. Turn left onto A Street—there will be a tall apartment building on your left and a Salvation Army on your right. At the next traffic light, turn left onto Walnut Street, and make sure to be in the right lane. Turn right onto Front Street, which is immediately after passing under the railroad bridge. Turn right onto Poplar Street, where our studios will be on the left. If you are coming southbound via King Street: Just past 2nd Street, follow the road as it curves to the right. Make sure to be in the left two lanes. At the next light (just after the curve), turn left onto Market Street. Continue across the bridge, then turn left onto A Street. At the next traffic light, turn left onto Walnut Street, then turn right onto Front Street and continue as normal to our Studios. Warm up with delightful winter wines (selected by the experts at Swigg) paired with classic Verdi arias. Featuring Amanda Palmeiro (Soprano), Claudia Chapa (Mezzo-Soprano), Chris Carr (Tenor), Sidney Outlaw (Baritone), and Aurelien Eulert* (OperaDelaware’s Principal Pianist/Chorus Master). Estimated running time is 2 hours (including tastings). Patrons who choose to participate in the optional wine tastings can purchase tasting tickets at the performance for $10; Must be 21 or older to participate in tastings. A cash bar and sandwiches from Casapulla's will also be available for purchase in the lobby. *The position of Principal Pianist and Chorus Master is underwritten in part through a generous donation by the AWARE Foundation, in memory of Margery Hamilton Hill Bauer. Vino Verdi is one of the classic styles of Portuguese wine. Comprised of 25-year-old Louriero & Treixadura vines, Las Lilas is bright, spritzy and playful with intense aromas of white flowers citrus and minerality. Cesani holds a lovely hillside position in upper Pancole, overlooking San Gimignano. Cesani’s Vernaccia, is organically farmed and expresses powerful notes of Asian pear, Golden Delicious apples with hints of lemon. Aldonia’s Vendimia bottling is comprised of 60% Granacha & 40% Tempranillo. In the glass the shows loads of black current, ripe plum and “jammy” red fruit aromas. It also displays a lovely Christmas spice note. Domaine Grand Arc consists of some 22 organically farmed hectares within a 150-hectare territory of existing vines and Mediterranean garrigue scrub vegetation. In The glass the wine sings with rich black fruit, spice and hints of garrigue. Our Opera Uncorked series gets into the Halloween spirit, highlighting some of opera's darkest characters and intense mad scenes. (But like a fine wine tasting, we’ll balance the darker notes with some lighthearted fare, too.) Featuring Colleen Daly (Soprano), Sarah Saturnino (Mezzo-Soprano), Dane Suarez (Tenor), Brent Michael Smith (Bass), and Aurelien Eulert* (OperaDelaware's Chorus Master and Principal Pianist). Castellroig represents one of the few family growers in Penedès producing sparkling wine. In the glass, the wine has consistent effervescence, aromas of white flowers, tree fruit and citrus, with mouthwatering acidity. Hervé Fabre founded Fabre Montmayou in the 1990s and today represents one of the true family growers in Argentina. Torrontés has become Argentina’s quintessential white grape varietal. In the glass Montmayou’s 2017 Torrontés is expressive with notes of lychee, jasmine, lime, and white flowers. Phillip Schell first arrived in Argentina in 1998 and now controls this eponymously named project. In the glass, the wine demonstrates fresh notes of plum, perfumed oak accents, and spice. It has a lovely, silky texture that adds to the richness of the fruit. Lote 44 Malbec is a sumptuous little wine. In the glass, the wine displays aromas of redcurrant, mocha, rose petal, tobacco leaf, and earth. This wine is surprisingly juicy and firm on the palate, showing subtle intensity to the red berry and spice flavors.